The missing link between Red and White or night and day. 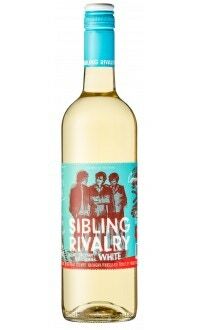 This final addition to the Sibling Rivalry trio brings Cabernet Sauvignon, Pinot Noir, and Merlot to the table in a hardy pink blend around which both men and women can finally unite. Behind its handsome bad boy demeanour is a blend that offers a melange of summer's cool and winter's heat. Is it a red that drinks like a white? A white that drinks like a red? Or is it just a manly pink wine? Simple, hearty fare such as barbecued burgers or a pasta dinner.